Sailboats are usually equipped with a limited number of electronic instruments which give you basic information about the boat’s performance in real time. The ambitious sailor however needs somewhat more information than is usually given by such standard equipment. The TACSAIL software, connected to these basic instruments will enable you to achieve this. 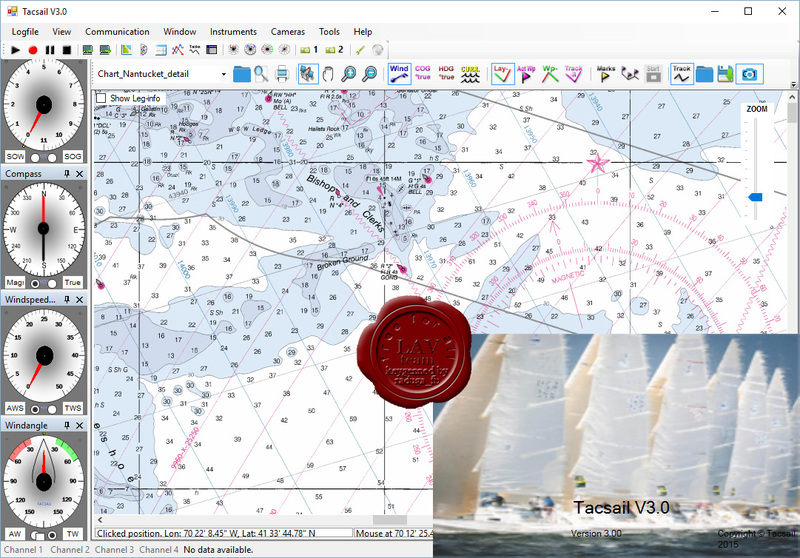 Connected to your instrument system (speed, wind, position,heading), TACSAIL analyses and displays your boat's performance. All major instrument systems are supported (NMEA 0183 or NMEA2000 with special converter). Feedback is provided trough user friendly interactive screens. Configure them at your own liking.Apart from improving your situational awareness in real-time, the software also allows you to record all the data given by the instruments for later replay and analysis at the time and place of your own choosing. From the comfort of your home you can thus relive your sailing trips or regatta’s. By carefully observing and analyzing such replays you will learn how to improve your boat’s performance.